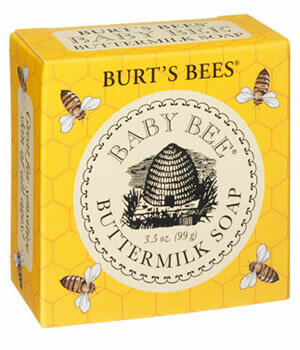 Burt's Bees Baby Bee Buttermilk Soap is a 98.47% completely natural soap for sensitive skins. Burt's Bees Baby Bee Buttermilk Soap is a vegetable based soap with buttermilk and honey to help moisturise, soothe and soften the skin while it cleanses. Both babies and adult sensitive skin can use it daily for face and all over body cleansing. This beautiful product contains no chemicals and harsh cleansers, just pure natural goodness each time you wash. This gentle baby soap is made with buttermilk, a natural, soothing skin cleanser and moisturiser. Oat flour calms irritated skin and honey and glycerin moisturises baby's skin. SLS-, phthalate- and paraben-free. Create a lather and gently wash your baby's entire body, avoiding the eyes. This specialty milk is richer in fats and emollients than whole milk. For centuries, milk has been used as a natural, soothing skin cleanser and skin softener.